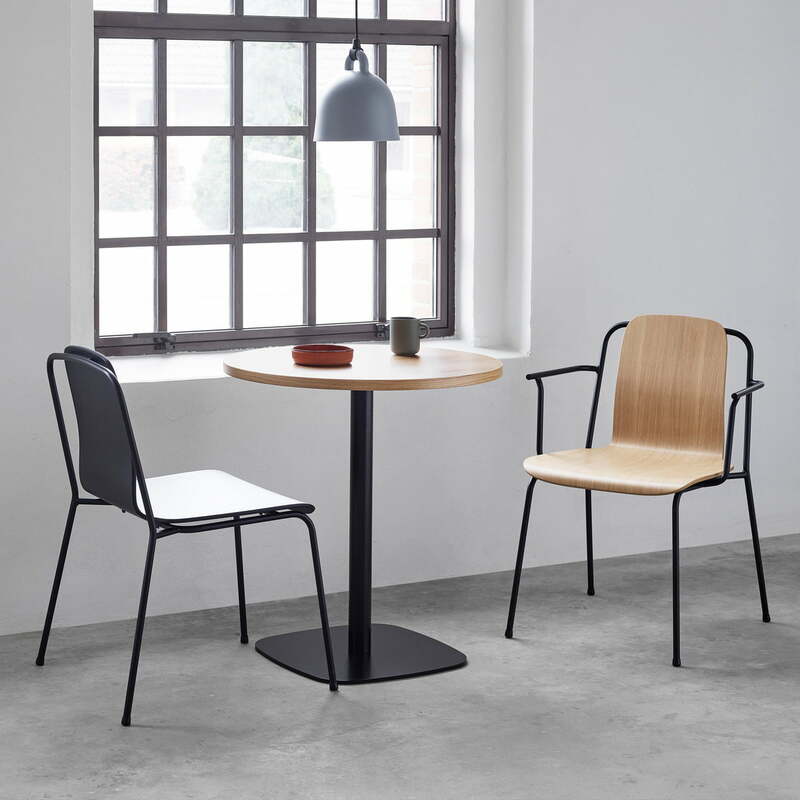 The Studio Armchair by Normann Copenhagen was designed by Simon Legald and convinces with its modern and airy appearance. 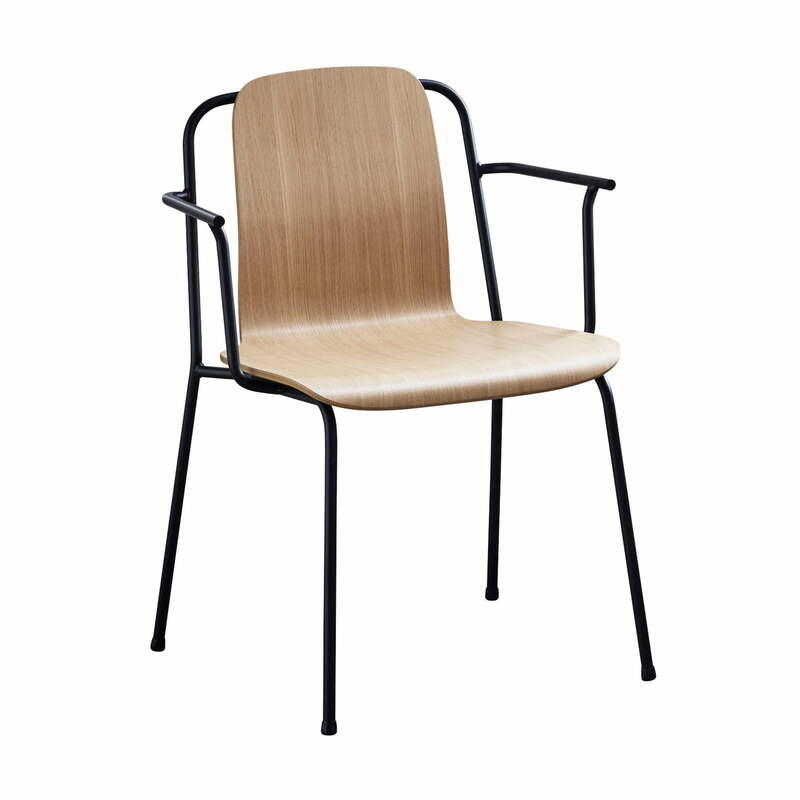 The comfortable seat shell in oak veneer seems to float on the steel frame, giving the chair a dynamic and light appearance. 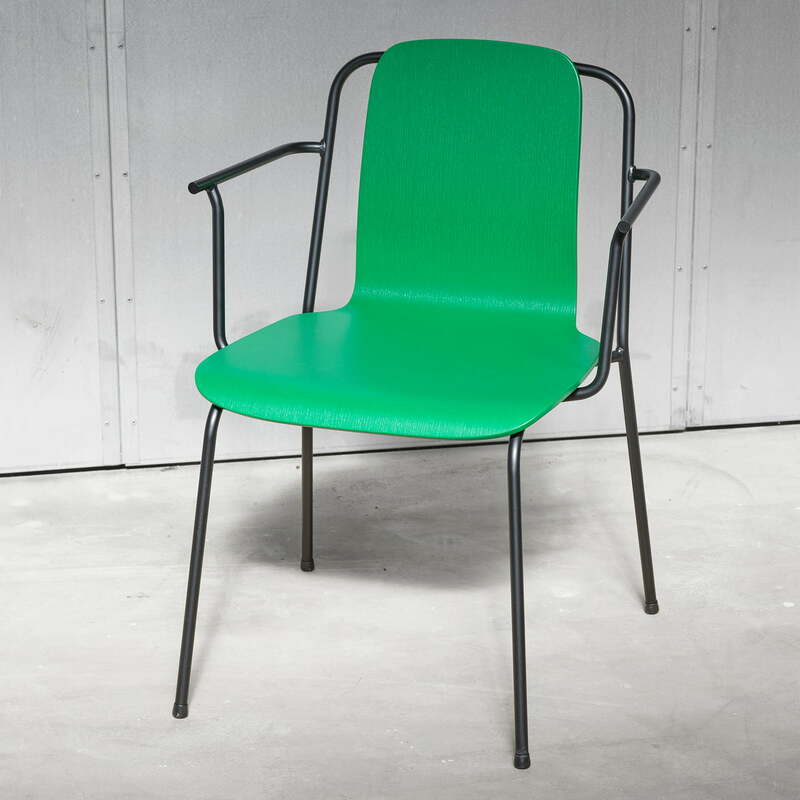 The chair consists of a four-legged frame with powder-coated steel armrests. The seat is made of oak or ash veneer in various colours. The studio chairs are an eye-catcher both alone and in the group. 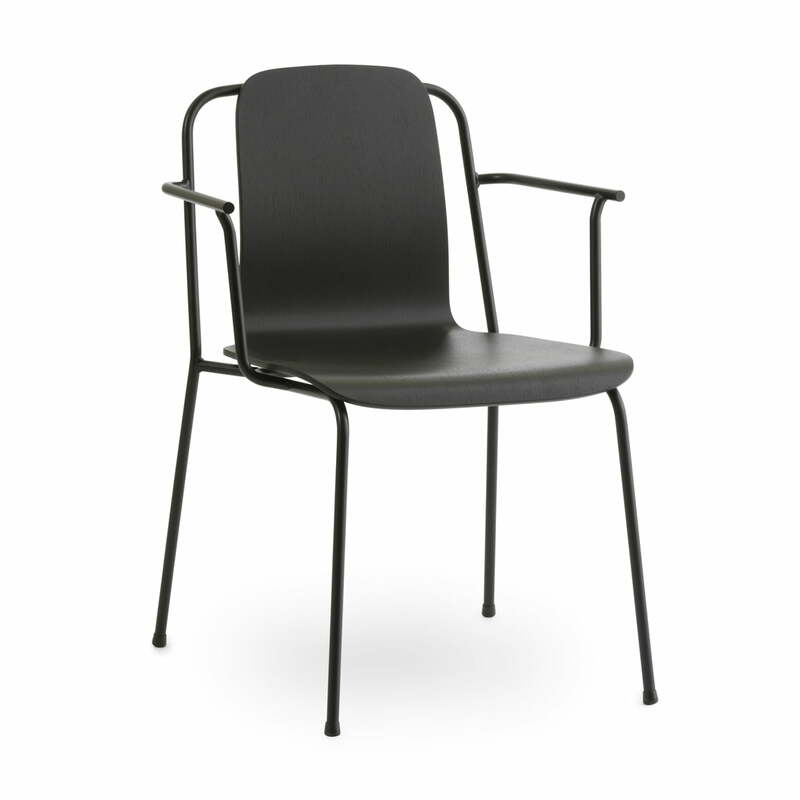 The multifunctional Studio chair series is designed for use in private and public spaces. In addition to the armchair, the series also includes a chair without armrests and a bar stool. Available in different colors and versions, the Studio series is great for any room. 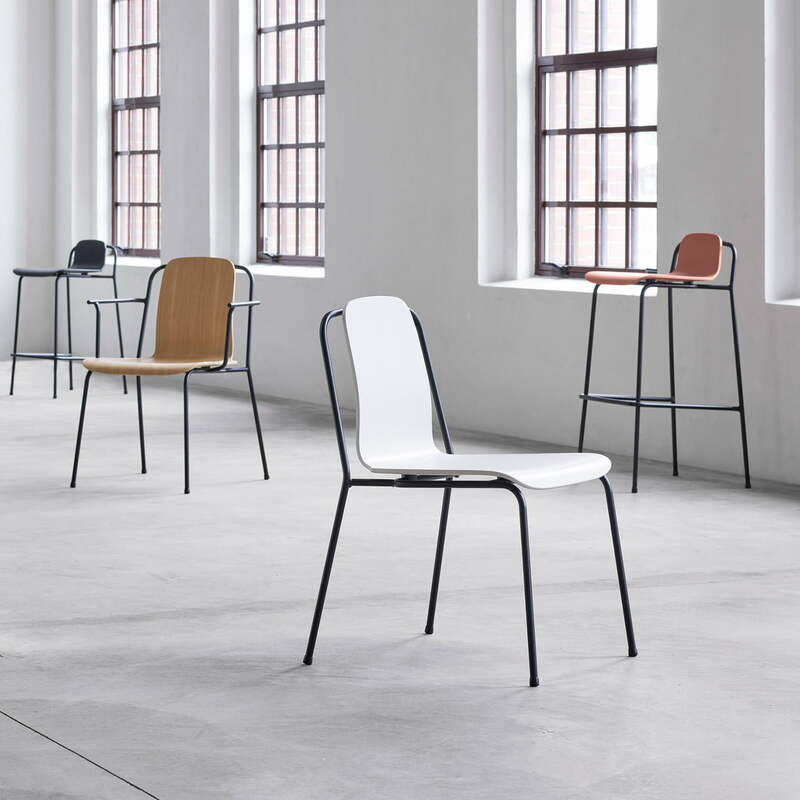 The multifunctional Studio chair series is designed for use in private and public spaces. All models are stackable, making the series suitable for restaurants and educational institutions, for example.